Make a list of friends. Brainstorm what each friend likes and make them a gift related to what you wrote on your list. For example, if your teacher enjoys chocolate, make him or her a gift of brownies! 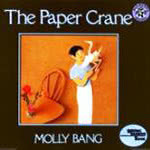 Read The Paper Crane by Molly Bang and then make your own paper crane!